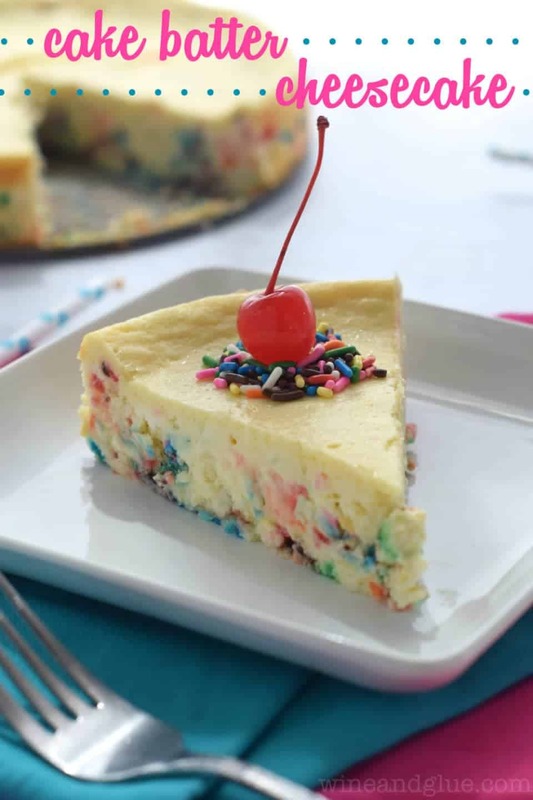 This Cheesecake Cake Batter Dip is a super easy dip that combines the awesome flavors of cheesecake and cake batter! We have an epidemic happening in our house. A princess epidemic. To put it in perspective for you, I am just about the least girly girl you will ever meet. It took a small intervention from a friend to get me to wear clothing that didn’t involve t-shirts from athletic events I’d participated in . . . like out and about. I don’t like wearing make up, and a getting dressed up for me is putting on earrings. Every time I hear him drop the hammer with one of our kids, I fall a little more in love with him. The only thing this princess dress has to do with this dip is that both were brought to a New Year’s Eve party our family went to. 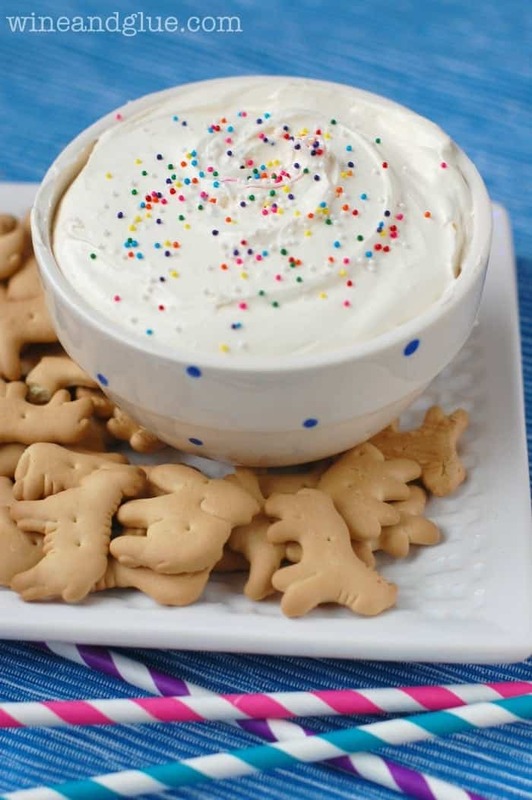 This dip is a little twist on the one you see floating all over Pinterest. With the addition of cheesecake flavored pudding mix, it has a little bit of a cheesecake taste combined with the cake batter taste. It is SO GOOD. It got gobbled up at the party. I show it hear with animal crackers, but I think it’s also really good with granny smith apples. I used Lite Cool Whip to make it, but I resisted the urge to call it skinny . . . given all the cake mix and pudding mix. But it’s still a lighter option than a lot of the dessert dips. Stir the dry pudding mix into the thawed cool whip until combined. Stir in the milk and then the dry cake mix. Beat with the a hand held mixer on medium low until well combined, about two to three minutes. Serve with crackers and fruit. 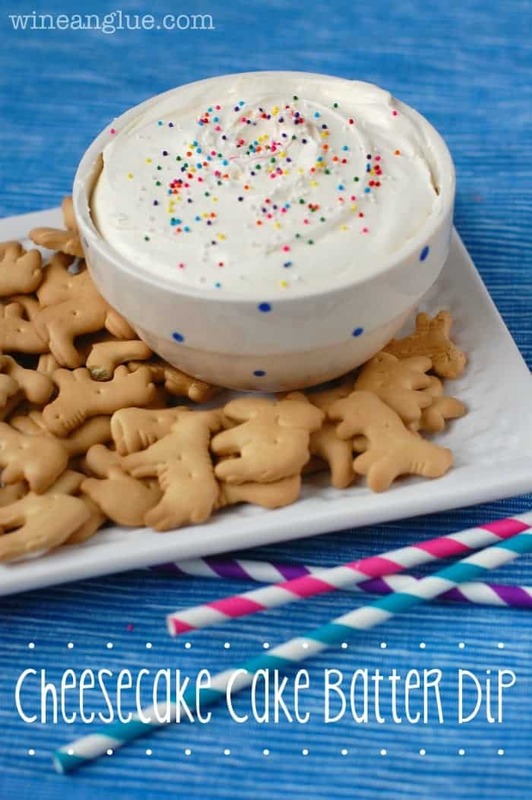 Who needs animal crackers? Just give me a spoon! Yum! 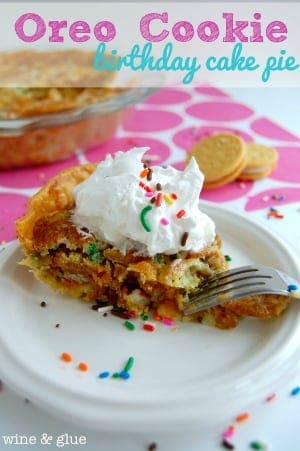 this would make the perfect addition to my cookie craving right now! So sweet! Yay for little princesses. OMG I just made this right now for my baby shower, AND IT IS SO GOOD!!! I don’t have a big sweet tooth, but I honestly could eat the whole bowl! The only thing I had to change was the cheesecake jello. 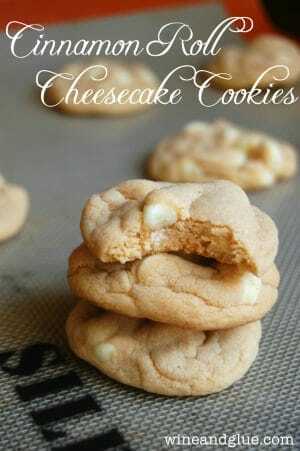 They only had the cheesecake no-bake mix, but it tastes I would think, just as good! Thanks for the idea..because it was so easy and so yummy! Hi! Is there something I can use instead of Cool Whip? I’m not a huge fan of the taste of Cool Whip. –Would Reddi Whip in a can work? Thanks! Can wait to try this!! Mmmmmm, in my experience they aren’t really the same consistency. Instead, I would google how to make homemade whip cream. It’s pretty easy, and the consistency is closer. This dip is so quick to whip up. I had my 13 year old daughter and her friend make this for something fun to do. Everyone enjoyed it. 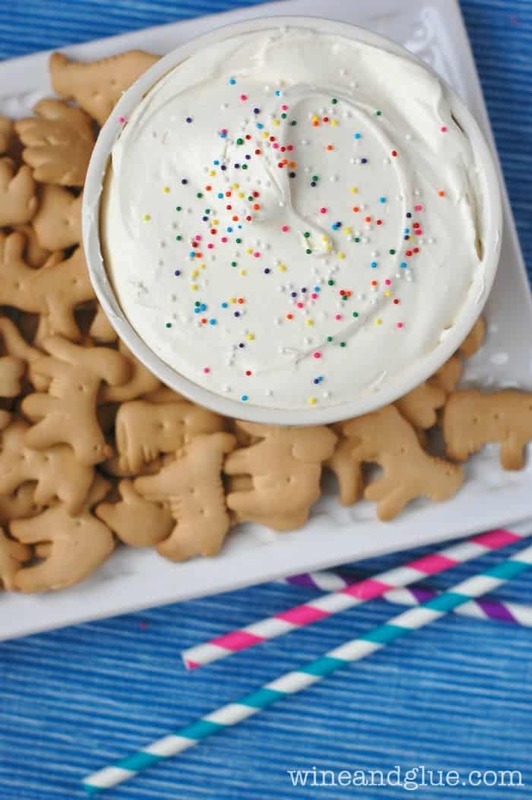 I served with animal crackers. So happy you liked it Jennifer!